JANUARY 16, 2019 – LyondellBasell, one of the largest plastics, chemicals and refining companies in the world today announced CEO Bob Patel has joined with Procter & Gamble CEO David Taylor and Veolia CEO Antoine Frérot in leading the newly announced global Alliance to End Plastic Waste (AEPW). The AEPW is the first-ever international coalition of chemical and plastics manufacturers, converters, consumer goods companies, retailers and waste management companies dedicated to partnering with the finance community, government, and environmental and economic development NGOs to find marketbased solutions to ending plastic waste in the environment. LyondellBasell is a founding member of AEPW. 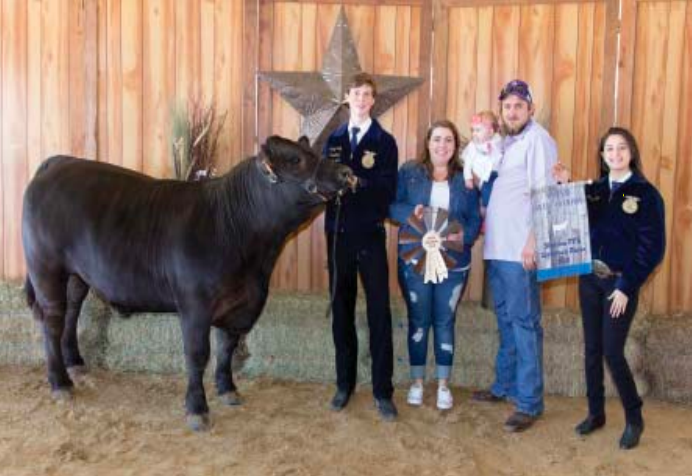 SHELDON – The Sheldon ISD FFA held their 61st Annual Livestock Show and Sale last Saturday, January 12 at the Ag Barn on US90. Hundreds of spectators, buyers, and exhibitors participated in this important event for FFA students, who spend a year raising an animal. Net proceeds from the sales are then given to the student for college expenses, or for undergrads to raise another animal. The sale consisted of 36 lots, which was up from the quantity of 30 that were shown last year. However, sale prices were flat, and the sale brought in about $30,000, compared with about $40,000 last year. In addition to the animal and ag project sales, this year a Quilt donated by Denise Smesny sold for $1,000, purchased by Robert and Sandra Fletcher. The North Channel Star will have a special issue in the next month, featuring photographs of most of the exhibitors and their animals. If you would like to advertise and support this issue, please call 713-266-3444.